A beach is a Geological landform along the shoreline of an ocean, sea, lake or a river. It usually consists of loose particles which are often composed of rock, such as sand, gravel, shingle, pebbles or cobblestones. Although the seashore is most commonly associated with the word Beach, they have their own and special features which include Trekking, diving, boat rides and more adventurous activities. OM Beach Om beach is the only naturally Om shaped beach.Om beach is named so because it is shaped like the auspicious ॐ [Om] symbol. Someshwara Beach: A popular destination for capturing the moment when the sun spreads its orange wings while dipping into the sea creating a magical scenario. beach is well known for the large rocks called “Rudra Shile”. Ullal Beach: This place is famous for its historical and beauty values that are matchless. Bhatkal Beach: The most beautiful beach near to Murdeshawara.it’s still unspoilt and virgin. Murdeshwar Beach: The beach is quite safe for swimming, except during monsoons. Kurumgad Beach: Kurumgad Beach is a tortoise shaped Island.This beach is very popular for the Narasimha temple. 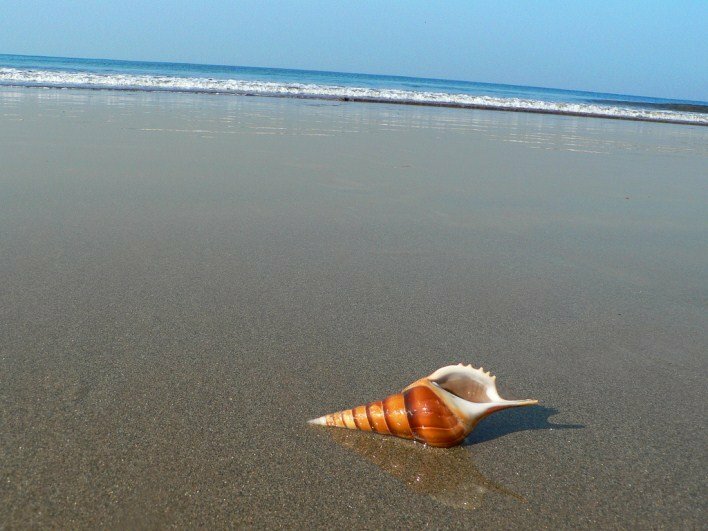 Surathkal Beach: Surathkal Beach is famous for its natural scenic atmosphere. Tourists spend weekends enjoy a day in the beauty of Surathkal. Kaup Beach: The beach is a serene place with nature’s beauty in abundance. It have the power to make a person oblivious to all his pain and tiredness. Malpe Beach: Malpe beach is one of the best picnic spot. The main attraction is St. Mary’s island, about 6 km from Udupi. Maravanthe Beach: This is an unique place where the arabian sea and the river is separated by a narrow road. Maravanthe is a beautiful beach along the Arabian coast lying in Udupi district of Karnataka.